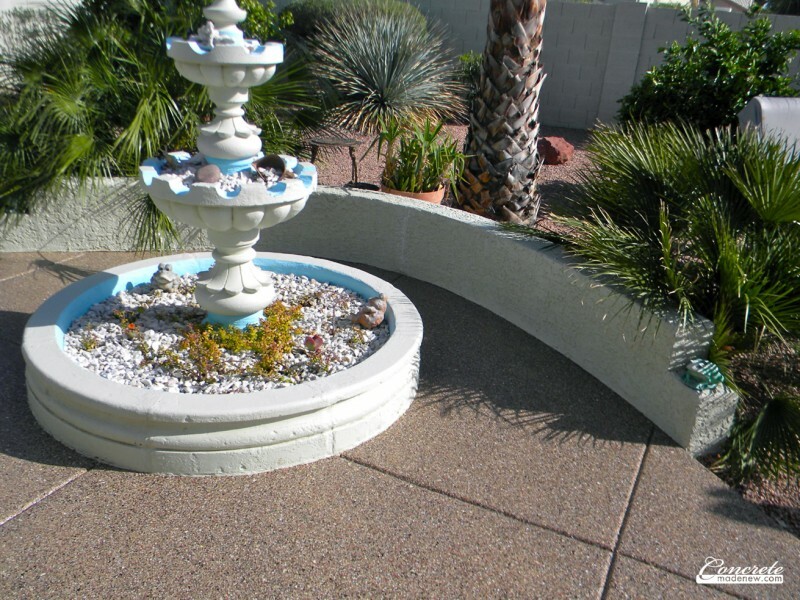 Beautiful Patio Coatings made of Epoxy, Polyurethane, or Chemical Resistant Urethane Coatings designed specifically for your Patio floor surface! 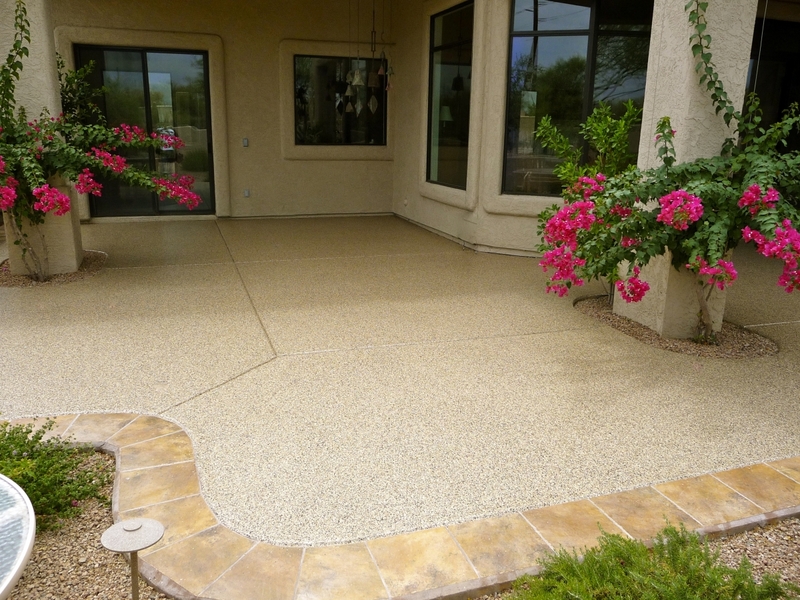 Imagine an attractive Patio or Deck that’s easy to clean and maintain, enhances decor, slip resistant and very durable. 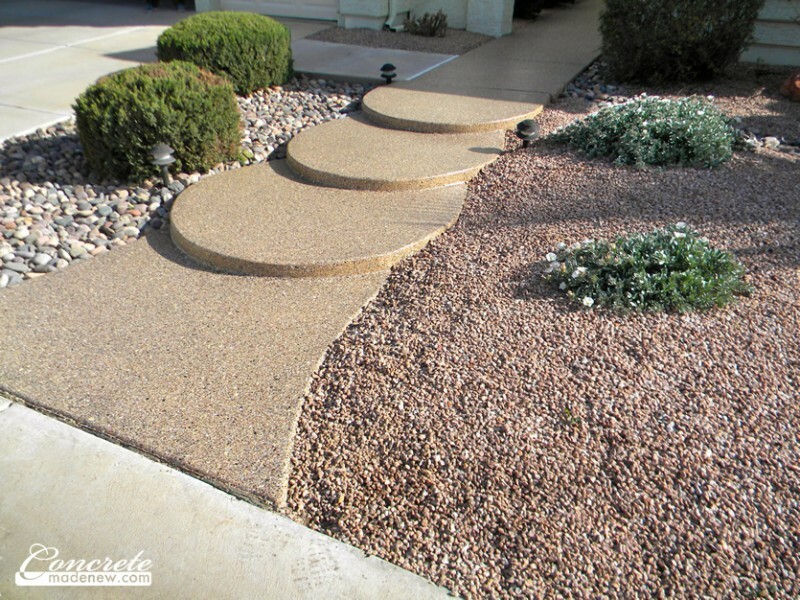 Next, imagine that you can have this revolutionary new system installed in just two days. 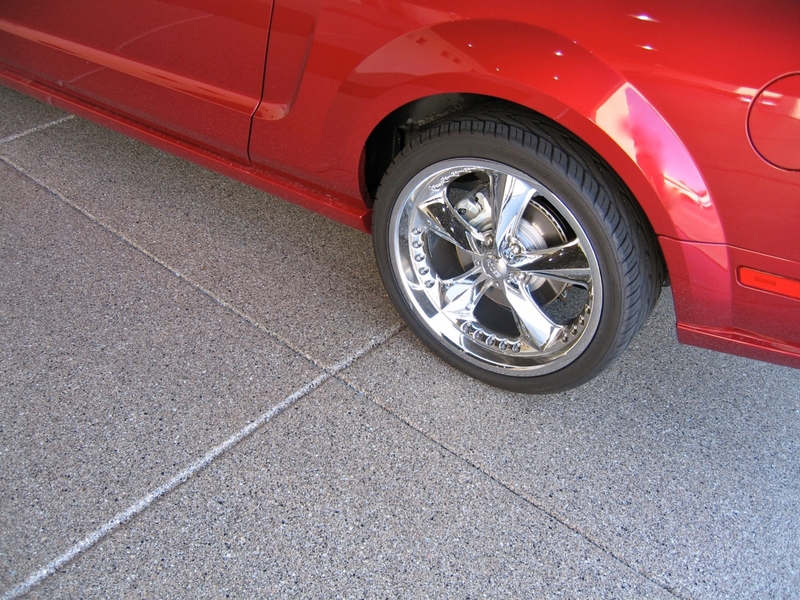 Concrete Made New delivers all of these advantages and more using our proprietary Concrete Floor Coating system epoxy base coat will provide better adhesion to the concrete than a Standard Epoxy. 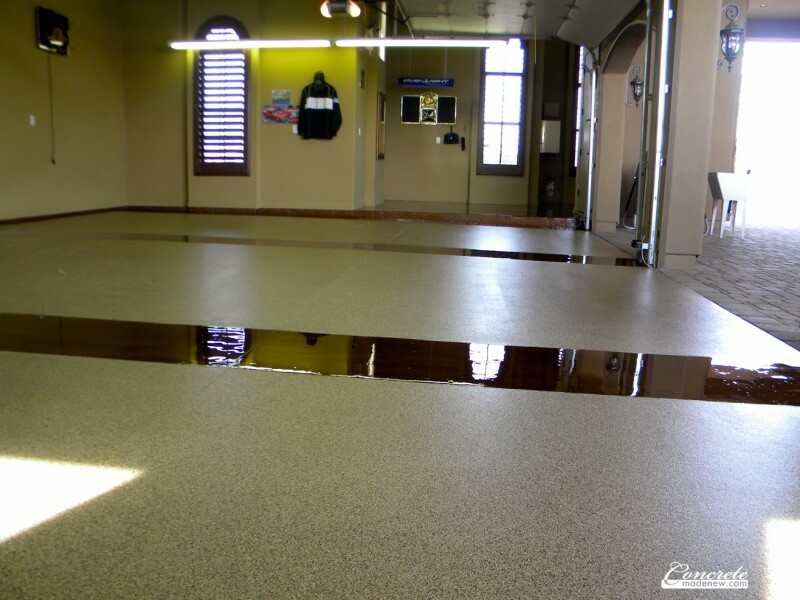 We use Industrial grade epoxy, Aliphatic Polyurethane and Chemical Resistant Urethane topcoats to provide an Industrial Strength Floor Coating that is flexible and just about indestructable! 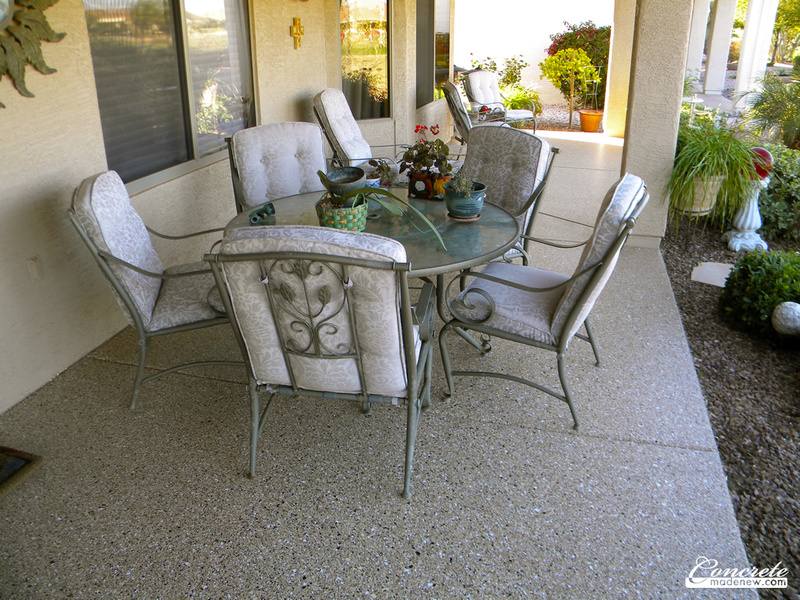 In fact, every Patio or Deck Coating that Concrete Made New installs is backed by a 5 year Warranty! 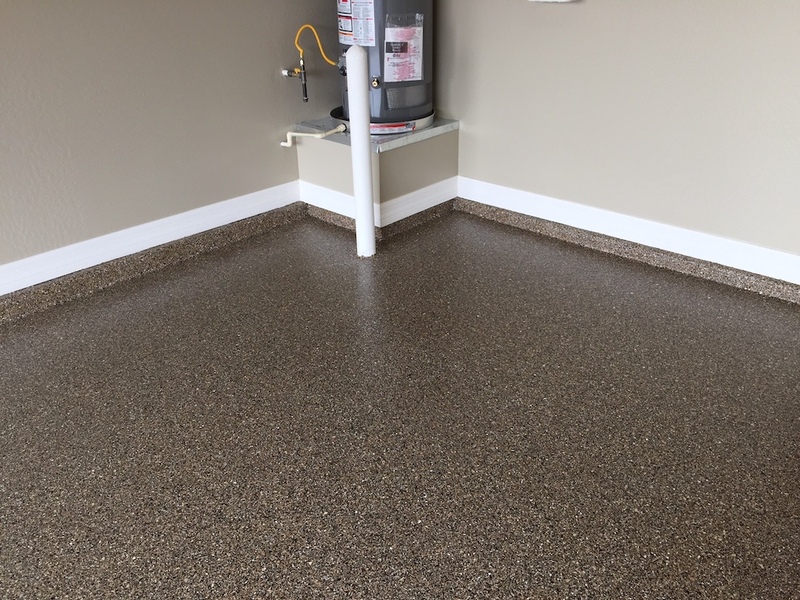 When you select one of our unique StoneCoat Floors, you’ll have the confidence of unparalleled quality, lasting beauty, and trouble-free durability. 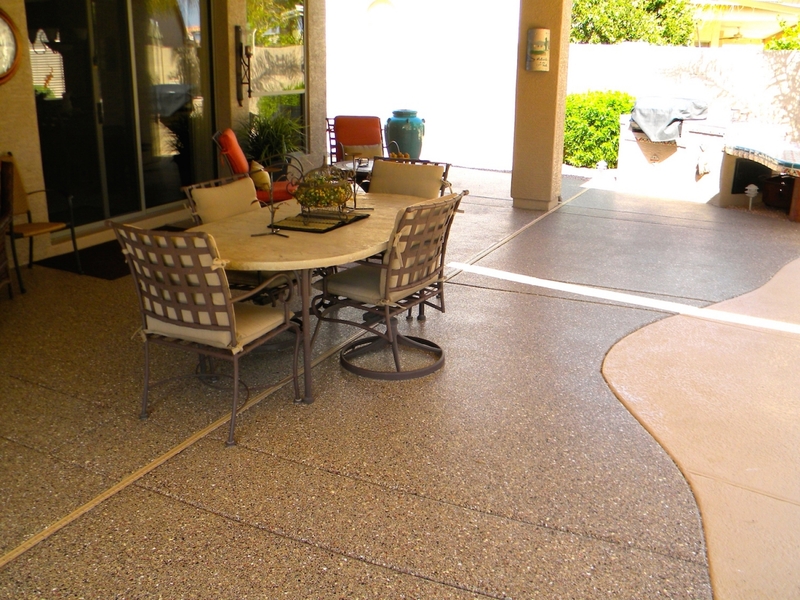 All Concrete Made New Floor Coatings are Easy to clean and maintain and they provide you with all of the Chemical and Stain Resistance you demand from a custom patio coating. 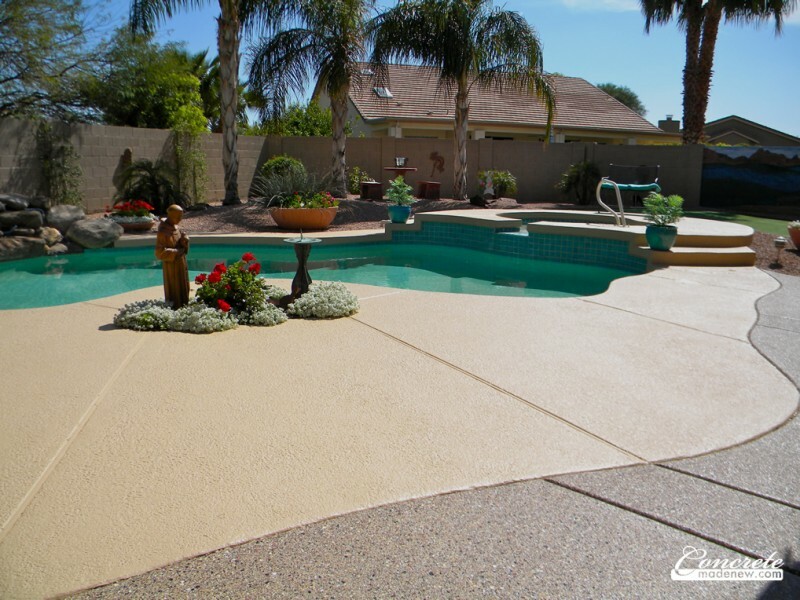 It doesnt matter where you are in the valley, Concrete Made New proudly serves Phoenix, Scottsdale, Mesa, Chandler, Gilbert, Queen Creek and surrounding areas. 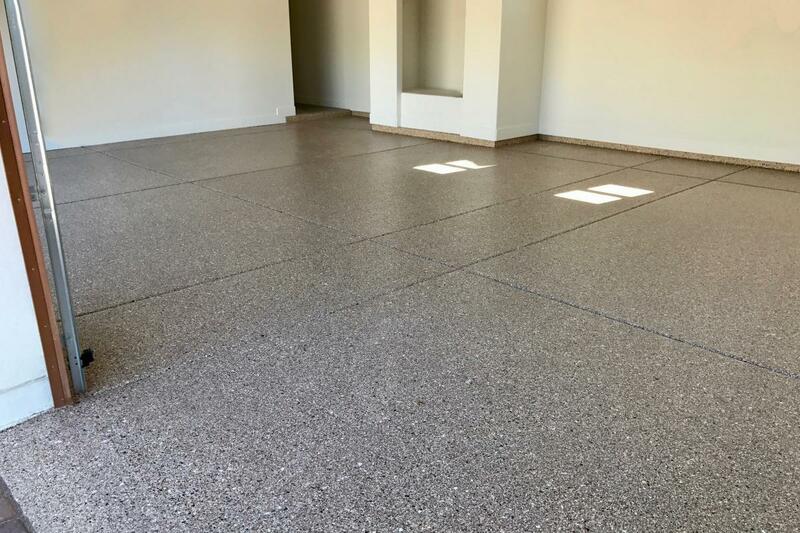 Concrete Made New is proud to offer to our customer an exclusive, affordable, chip-based flooring system, ideal for Arizona Homeowners and Business. 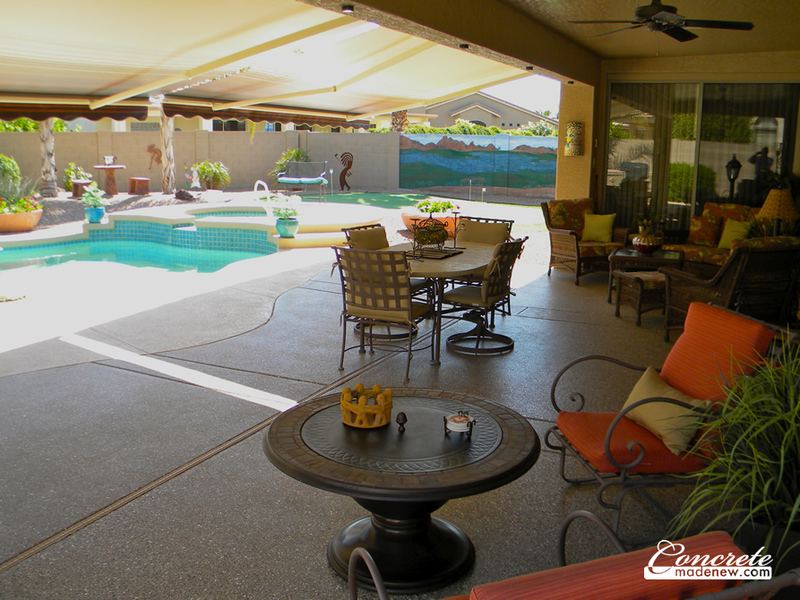 No longer will you feel the need to immediately clean your patio after an Arizona Dust Storm! 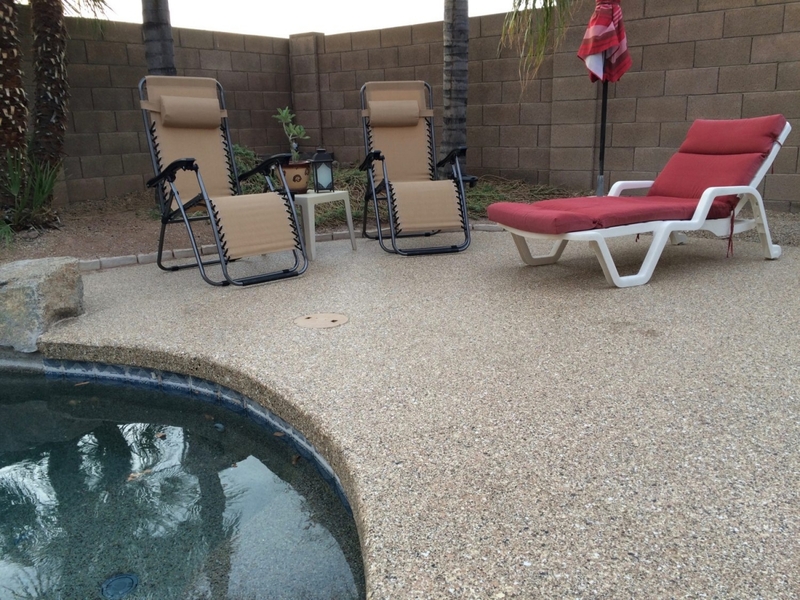 StoneCoat Floors are “One of a Kind” blends with the appearance of natural stone, Our StoneCoat Floors will enhance and beautify your patio, walkway or entry. 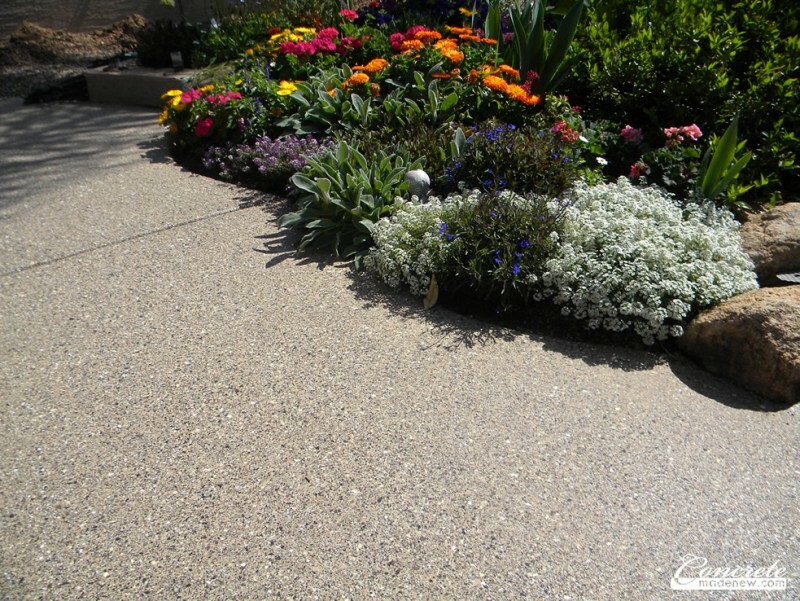 You will be delighted by it’s durability and appearance for many years to come. Why is Reflecto Seal different? 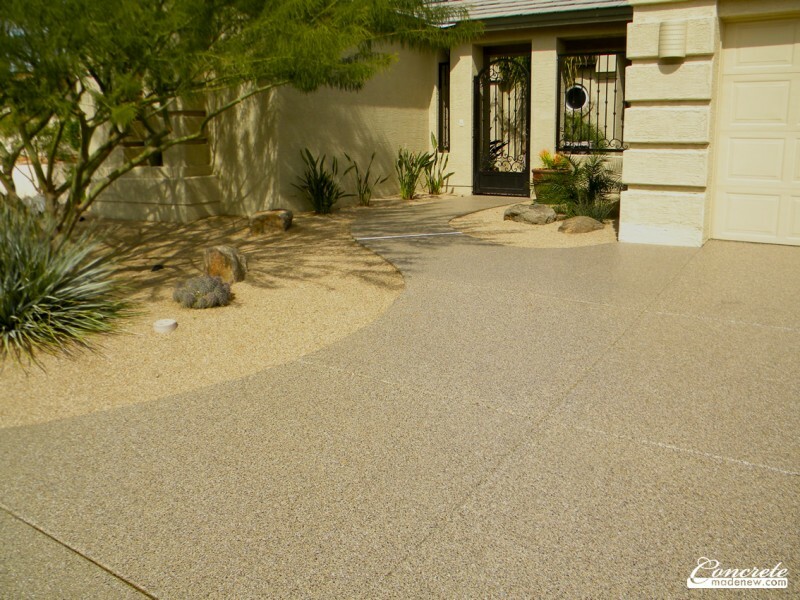 This pigment technology was first developed by the military in Desert Storm. Initially, tanks were easily detected by the enemy using simple infrared technology, since the tanks got hotter than the surrounding desert. Today this same successful technology is making its way into other industries. For example, this chart shows the difference in Total Solar Reflectance (TSR) between standard Baja Sand and Reflecto Seal Baja Sand. A higher TSR value means it’s more reflective, and therefore it’s cooler. 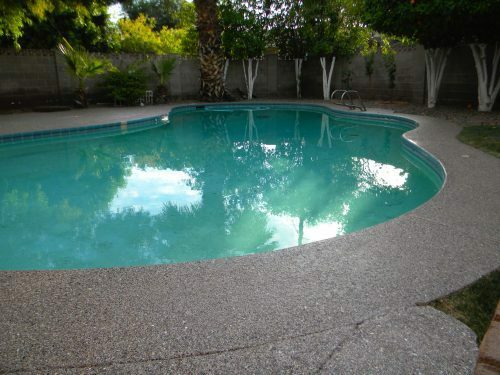 Call us now for an estimate to change your pool color and make it cooler for your feet!